陈亚军, 何席伟, 周嘉伟, 齐昭栋, 张徐祥. 太湖流域典型厂村融合区复合面源污染特征分析——以礼嘉镇、洛阳镇、雪堰镇为例[J]. 环境监控与预警, 2019, 11(2): 1-9. CHEN Ya-jun, HE Xi-wei, ZHOU Jia-wei, QI Zhao-dong, ZHANG Xu-xiang. 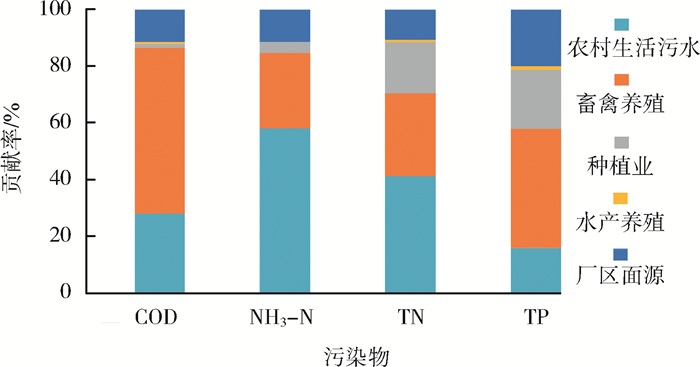 Characteristics Analysis of Composite Non-point Source Pollution in Typical Industrial-agricultural-integrating Area in Taihu Lake Basin——A Case Study of Lijia Town, Luoyang Town and Xueyan Town[J]. Environmental Monitoring and Forewarning, 2019, 11(2): 1-9. 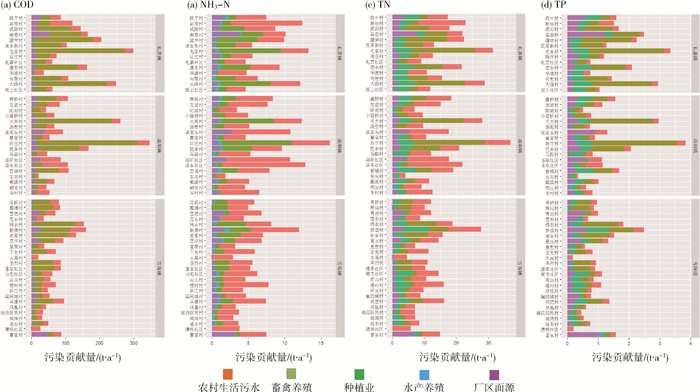 Abstract: In order to grasp the present situation and characteristics of industrial and agricultural non-point source pollution in the fusion area of factories and villages, the typical areas of Lijia Town, Luoyang Town and Xueyan Town were selected to study. The results showed that the total pollution load of Lijia Town, Luoyang Town and Xueyan Town was 1.85×109 m3/a in 2017, and TN was the highest, accounting for 44.73% of the total, which was the priority control factor in 57 administrative villages. Most of the administrative villages with higher biomass load and load intensity are located in Luoyang and Lijia towns, such as Qizhuang, Tianjing, Maojia and Dalu villages, which are the priority control areas. Among the pollution sources, rural domestic sewage and livestock and poultry farming contribute the highest contamination load, accounting for 37.88% and 35.49% of the total, respectively. The contribution rates were 13.17% and 12.77% respectively, and the contribution rate of aquaculture was the lowest. By cluster analysis, the non-point source pollution types in the fusion area of factories and villages were divided into six categories. 王静, 郭熙盛, 吕国安, 等. 农业面源污染研究进展及其发展态势分析[J]. 江苏农业科学, 2016, 44(9): 21-24. 张志彬, 孟庆宇, 马征. 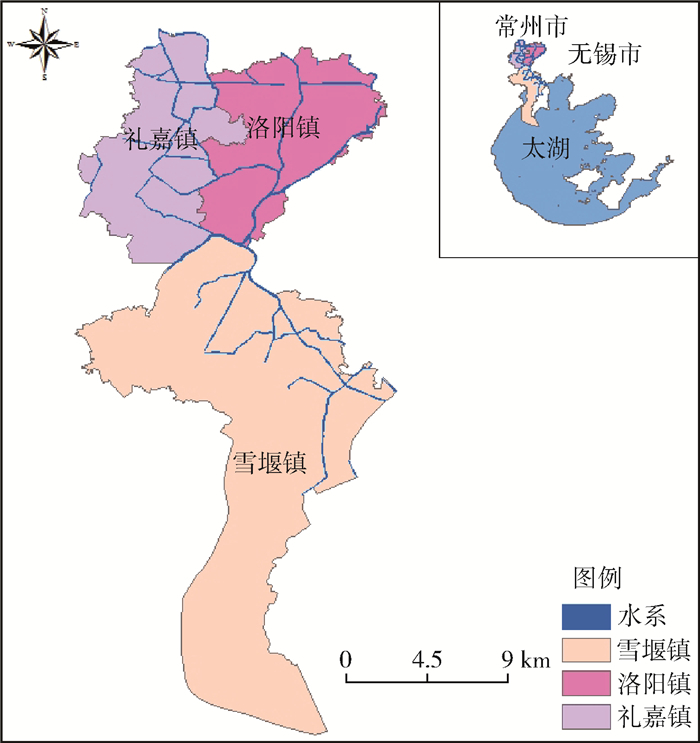 城市面源污染的污染特征研究[J]. 给水排水, 2016, 42(s1): 163-167. 赵琰鑫, 彭虹, 王双玲, 等. 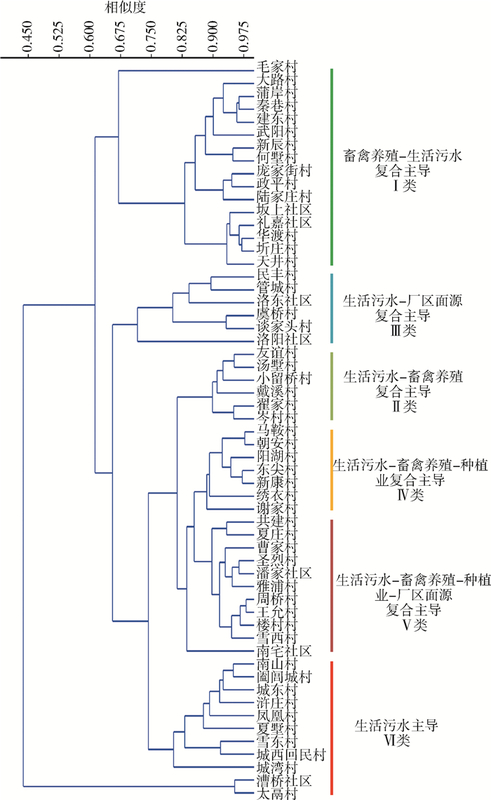 分布式工业区面源污染模型研究[J]. 武汉大学学报(工学版), 2012, 45(5): 594-597. 中国农业科学院农业环境与可持续发展研究所, 第一次全国污染源普查畜禽养殖业源产排污系数手册[EB/OL ]. (2009-02)[2019-01-29]. https://wenku.baidu.com/view/9f82b6740342a8956bec0975f46527d3250ca66c.html. NOVOTNY V, CHESTERS G. 面源污染管理与控制手册[M]. 广州: 科学普及出版社, 1987: 123-140. 谢经朝, 赵秀兰, 何丙辉, 等.汉丰湖流域农业面源污染氮磷排放特征分析[J/OL].环境科学. http://kns.cnki.net/kcms/detail.11.1895.X.20181115.1757.026.html, 2018-11-15. 崔超, 刘申, 翟丽梅, 等. 兴山县香溪河流域农业源氮磷排放估算及时空特征分析[J]. 农业环境科学学报, 2015, 34(5): 937-946. 吴召仕, 蔡永久, 陈宇炜, 等. 太湖流域主要河流大型底栖动物群落结构及水质生物学评价[J]. 湖泊科学, 2011, 23(5): 686-694. 於梦秋, 蔡颖, 刘华, 等. 太湖流域入湖河流土地利用类型对水质的影响——以乌溪港、武进港为例[J]. 农业环境科学学报, 2014, 33(5): 1024-1032. Environmental Monitoring and Forewarning, 2019, 11(2): 1-9.